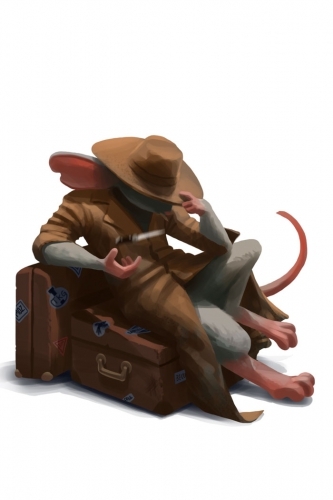 The Mysterious Traveller Mouse is a breed of mouse found in the Gnawnian Express Station. Not much is known about this mysterious traveller. Where does he come from? Where is he going? What is his name? What does he look like? And, more importantly, why can he be only found on the Gnawnian Express?!? Does he ever get to his destination, or is he destined to travel endlessly? Does he even have a ticket?! Mysterious Traveller mice have no specific preference for any kind of cheese. Law type traps such as S.L.A.C. are very effective against Mysterious Traveller Mouse. The Mysterious Traveller Mouse drops the Gnawnian Express Egg during the annual Spring Egg Hunt. Released on 26 September 2013 as part of the Gnawnian Express Station content. This page was last edited on 18 January 2016, at 02:38.